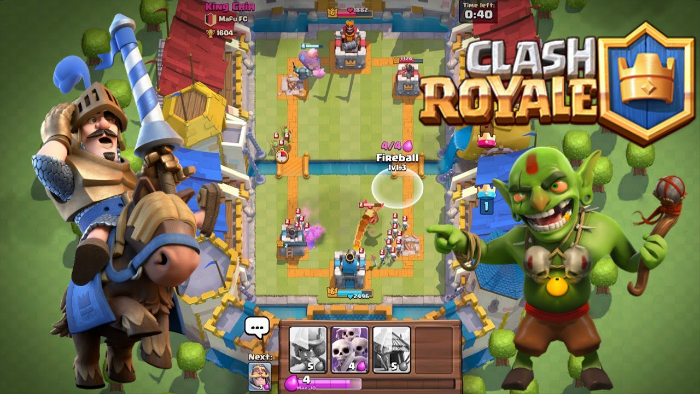 Clash Royale spun off of Clash of Clans like Frasier spun off of Cheers. Granted, Clash Royale doesn’t feature a Kelsey Grammar where he psychoanalyzes your opponent to death. Although the graphic of a crazy, cartoonish Kelsey grammar a la Yuri from Red Alert 3 does come to mind. First off, it’s a fun game that’s easy to learn. You don’t need any Clash of Clans knowledge to enjoy it. Of course, if you’re like the vast majority of initial downloaders who I imagine are the first wave of players, then you’ll have a leg up. But that’s not the point. The point is that the game functions mechanically like Clash of Clans. The physic of the game is different, but the use of gems to open chests immediately, the use of gold to buy upgrades…nothing new. But why make something new anyway? Supercell made Clash and Boom Beach, and both are doing well. Boom Beach became too tedious a patch or two ago, but I survived the last Clash patch. Clash Royale is a 10 second download and a 2 minute learn time (tops). It’s worth a go whether you’re a Clash fan or not. It’s mighty quicker than Clash too – you don’t have a base or walls you have to dump gold into. It’s a 3 minute fight to the death, and you either win, lose, or draw. But not in an 80’s kind of way. As for longevity, I can picture myself playing a couple times a day for the next month or two. I have the feeling that when it gets boring, it may get boring quickly. But until then, I’m going to have some fun with it. Who knows, maybe I can meet some Supercell peeps at the Florida Supercon this year!